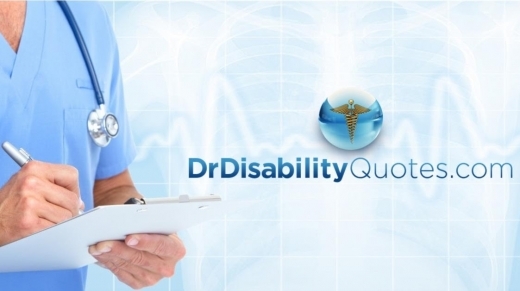 DrDisabilityQuotes.com was founded on the basic principal of providing Unbiased Independent Disability Planning Solutions to Physicians, Residents and Fellows nationwide at discounted rates leveraging our decades worth of relationships with top insurance carriers. At DrDisabilityQuotes.com, we are committed to helping you protect your greatest asset - your ability to earn. At DrDisabilityQuotes.com we approach your desire to protect your earning capacity with care and compassion. From onset our approach is one that of friendliness, guidance and professionalism. From your initial quote request to case submission and underwriting, we will help you navigate the approval process. We will further service and keep in touch with you on all your future options and rights for your policy. By working with us, you have confidence knowing that we have researched your every option. We pride ourselves in providing the best customer service possible. (MDRT) Million Dollar Round Table's Top of the Table is an exclusive forum for the world's most successful life insurance and financial services professionals committed to providing exemplary client service while displaying the highest standards of ethics and professional knowledge. Financial Planning Association (FPA) members adhere to the highest standards of professional competence, ethical conduct and clear, complete disclosure to those they serve. Better Business Bureau Accredited Business criteria: compliant history, type of business, transparent business practices, commitment to customer service, licensing and government actions, and fair advertising practices. Our Independent Financial Professionals are licensed in all 50 states and D.C.
After completing his finance Bachelors degree and business administration Masters degree. Bob joined New England Financial in 1991 as a Financial Advisor. He quickly rose to become a leader in his field by building close relationships with Attending Physicians, Private Practice Physicians and Faculty Chairpersons. Bob regularly lectures hospitals and faculties regarding creation of efficient financial strategies. It's these relationships that influenced him to start working with Residents and Fellows early in their careers. He built a niche by providing cost effective Income & Risk Management Planning Solutions for his Physician clients. Leveraging his 22 year carrier at New England Financial, Bob founded DrDisabilityQuotes.com LLC as a truly independent provider of Insurance and Financial Services exclusively to the Medical Community and Doctors nationwide. Bob Bhayani has achieved MDRT - Top of the Table, Disability Inner Circle, Chairman's and President's Council among other accomplishments. Bob is also a member of Financial Planners Association and operates his practice which is Better Business Bureau Accredited. If you're interested in requesting an unbiased, FREE Disability Insurance quote comparing top insurance carriers, please click on the button to the left. Please feel free to reach out to our team for any questions that may arise!